Writer, 1960s--. Has also worked as a teacher, field engineer, editor, soldier, actor, director, farmer, rancher, truck driver, trapper, professional archer, migrant farm worker, singer, and sailor. Military service: U.S. Army, 1959-62; became sergeant. Gary Paulsen, born May 17, 1939, in Minneapolis, MN; son of Oscar (an army officer) and Eunice Paulsen; married third wife, Ruth Ellen Wright (an artist), May 5, 1971; children: (third marriage) James Wright; two children from first marriage. Education: Attended Bemidji College, 1957-58, and University of Colorado, 1976. Politics: "As Russian author Alexander Solzhenitsyn has said, 'If we limit ourselves to political structures we are not artists.'" Religion: "I believe in spiritual progress." A prolific writer in several genres, Gary Paulsen is acclaimed as the author of powerful young adult fiction. Usually set in wilderness areas, Paulsen's young adult books feature teenagers who arrive at self-awareness by way of experiences in nature--often through challenging tests of their own survival instincts. Paulsen often writes from his first-hand knowledge of the outdoors, and from his experiences as a hunter, trapper, and even a dogsledder in the Alaska Iditarod race. His work is widely praised by critics, and he has been awarded Newbery Medal Honor Book citations for three of his books, Dogsong, Hatchet, and The Winter Room. Paulsen displays an "extraordinary ability to picture for the reader how man's comprehension of life can be transformed with the lessons of nature," wrote Evie Wilson in Voice of Youth Advocates. "With humor and psychological genius, Paulsen develops strong adolescent characters who lend new power to youth's plea to be allowed to apply individual skills in their risk-taking." In addition to writing young adult fiction, Paulsen has also authored numerous books of children's nonfiction, as well as two plays and many works of adult fiction and nonfiction. Paulsen was born in Minnesota in 1939, the son of first-generation Danish and Swedish parents. During childhood, he saw little of his father, who served in the military in Europe during World War II, nor his mother, who worked in a Chicago ammunition factory. "I was reared by my grandmother and several aunts," he once said. "I first saw my father when I was seven in the Philippines where my parents and I lived from 1946 to 1949." When the family returned to the United States, Paulsen suffered from being continually uprooted. "We moved around constantly. . . . The longest time I spent in one school was for about five months. I was an 'Army brat,' and it was a miserable life. School was a nightmare because I was unbelievably shy, and terrible at sports. . . . I wound up skipping most of the ninth grade." In addition to problems at school, he faced many ordeals at home. "My father drank a lot, and there would be terrible arguments," he once commented. Eventually Paulsen was sent again to live with relatives, and worked to support himself with jobs as a newspaperboy and as a pin-setter in a bowling alley. Things began to change for the better during his teen years. He found security and support with his grandmother and aunts, "safety nets" as he once described them. A turning point in Paulsen's life came one sub-zero winter day when, as he was walking past the public library, he decided to stop in to warm himself. "To my absolute astonishment the librarian walked up to me and asked if I wanted a library card," he once recalled. "When she handed me the card, she handed me the world. I can't even describe how liberating it was. She recommended westerns and science fiction but every now and then would slip in a classic. I roared through everything she gave me and in the summer read a book a day. It was as though I had been dying of thirst and the librarian had handed me a five-gallon bucket of water. I drank and drank." From 1957 to 1959, Paulsen attended Bemidji College in Minnesota, paying for his tuition with money he'd earned as a trapper for the state of Minnesota. He served in the U.S. Army from 1959 to 1962, and worked with missiles. After the Army, he took extension courses to become a certified field engineer, and found work in the aerospace departments of the Bendix and Lockheed corporations. There it occurred to him that he might try and become a writer. "I'd finished reading a magazine article on flight-testing . . . and thought, Gad, what a way to make a living--writing about something you like and getting paid for it!," he told Frank Serdahely in Writer's Digest. "I remembered writing some of my past reports, some fictionalized versions I'd included. And I thought: What the hell, I am an engineering writer. But, conversely, I also realized I didn't know a thing about writing--professionally. After several hours of hard thinking, a way to earn came to me. All I had to do was go to work editing a magazine." Creating a fictitious resume, Paulsen was able to obtain an associate editor position at a men's magazine in Hollywood, California. Although it soon became apparent to his employers that he had no editorial experience, "they could see I was serious about wanting to learn, and they were willing to teach me," Paulsen once said. He spent nearly a year with the magazine, finding it "the best of all possible ways to learn about writing. It probably did more to improve my craft and ability than any other single event in my life." Still living in California, Paulsen also found work as a film extra (he once played a drunken Indian in a movie called Flap), and took up sculpting as a hobby, once winning first prize in an exhibition. "I worked mostly at wood carving, which I love," he once recalled. "But by then I knew I wanted to be writing, and backed off from sculpture. I didn't feel I could do justice to both." Paulsen's first book, The Special War, was published in 1966, and he soon proved himself to be one of the most prolific authors in the United States. In little over a decade, working mainly out of northern Minnesota, he published nearly forty books and close to 200 articles and stories for magazines. Among Paulsen's diverse titles were a number of children's nonfiction books about animals, a biography of Martin Luther King, Jr., several humorous titles under the "Sports on the Light Side" series published by Raintree Press, two plays, adult fiction and nonfiction, as well as some initial ventures into juvenile fiction. On a bet with a friend, he once wrote eleven articles and short stories inside four days and sold all of them. To burn off tension, he took long walks around his Minnesota farm during which, as he told Serdahely, he would "blow the hell out of a hillside" with a rifle. His prolific output was interrupted by a libel lawsuit brought against his 1977 young adult novel Winterkill. Paulsen eventually won the case, but, as he once observed, "the whole situation was so nasty and ugly that I stopped writing. I wanted nothing more to do with publishing and burned my bridges, so to speak." Unable to earn any other type of living, he went back to trapping for the state of Minnesota. "The traps we used were snares, which kill the animals right away. It's not pleasant, but it's humane, if death can be humane. I was working a 60-mile line mostly on foot, sometimes on skis, going out in the early morning and heading home at night. Very slow work." To help Paulsen in his hunting job, a friend gave him a team of sled dogs, a gift which ultimately had a profound influence on Paulsen. "One day about midnight we were crossing Clear Water Lake, which is about three miles long," Paulsen once said. "There was a full moon shining so brightly on the snow you could read by it. There was no one around, and all I could hear was the rhythm of the dogs' breathing as they pulled the sled." The intensity of the moment prompted an impulsive seven-day trip by Paulsen through northern Minnesota. "I didn't go home--my wife was frantic--I didn't check lines, I just ran the dogs. . . . For food, we had a few beaver carcasses. . . . I was initiated into this incredibly ancient and very beautiful bond, and it was as if everything that had happened to me before ceased to exist." Paulsen afterwards made a resolution to permanently give up hunting and trapping, and proceeded to pursue dogsled racing as a hobby. He went so far as to enter the grueling 1200-mile Iditarod race in Alaska, an experience which later provided the basis for his award-winning novel Dogsong. Paulsen's acclaimed young adult fiction--all written since the 1980s--often centers around teenage characters who arrive at an understanding of themselves and their world through pivotal experiences in nature. His writing has been praised for its almost poetic effect, and he is also credited for creating vivid descriptions of his characters' emotional states. His 1984 novel Tracker tells about a thirteen-year-old boy who faces his first season of deer hunting alone as his grandfather lies dying of cancer. Ronald A. Jobe in Language Arts praised the novel as "powerfully written," adding that "(Paulsen) explores with the reader the inner-most frustrations, hurts, and fears of the young boy." Paulsen once commented that one of his particular interests in writing Tracker was exploring the almost "mystical relationship that develops between the hunter and the hunted. It's a relationship with its own integrity, not to be violated. . . . At a certain point, the animal senses death coming and accepts it. This acceptance of death is something I was trying to write about in Tracker." Tracker was the first of several of Paulsen's books to receive wide critical and popular recognition. Dogsong, a Newbery Medal Honor book, is a rite-of-passage novel about a young Eskimo boy, Russel, who wishes to abandon the increasingly modern ways of his people. Through the guidance of a tribal elder, Russel learns to bow-hunt and dogsled, and eventually leads his own pack of dogs on a trip across Alaska and back. "While the language of (Dogsong) is lyrical, Paulsen recognizes the reality of Russel's world--the dirty smoke and the stinking yellow fur of the bear," wrote Nel Ward in Voice of Youth Advocates. "He also recognizes the reality of killing to save lives, and of dreaming to save sanity, in the communion between present and past, life and death, reality and imagination, in this majestic exploration into the Alaskan wilderness by a master author who knows his subject well." Paulsen's 1987 novel Hatchet, also a Newbery Honor Book, is about Brian, a thirteen-year-old thoroughly modern boy who is forced to survive alone in the Canadian woods after a plane crash. Like Russel in Dogsong, Brian is also transformed by the wilderness. "By the time he is rescued, Brian is permanently changed," notes Suzanne Rahn in Twentieth-Century Children's Writers: "he is far more observant and thoughtful, and knows what is really important in his life." As noted in Children's Books and Their Creators, "Hatchet has rapidly become one of the most popular adventure stories of all time," combining "elementary language with a riveting plot to produce a book both comprehensible and enjoyable for those children who frequently equate reading with frustration." So popular did Hatchet prove with readers that they demanded, and won, three sequels: The River, Brian's Winter, and Brian's Return. More recent novels--including Sentries, The Crossing, The Island, The Voyage of the Frog, and The Winter Room--have furthered Paulsen's reputation as a leading writer for young adults. Paulsen tells of a different kind of growing up in Harris and Me: A Summer Remembered. Instead of the main character reaching maturity while struggling in the wilderness, in Harris the unnamed protagonist discovers a sense of belonging while spending a summer on his relatives' farm. A child of abusive and alcoholic parents, the young narrator is sent to live with another set of relations--his uncle's family--and there he meets the reckless Harris, who leads him in escapades involving playing Tarzan in the loft of the barn and using pig pens as the stage for G.I. Joe games. "Through it all," explained a reviewer for Bulletin of the Center for Children's Books, "the lonely hero imperceptibly learns about belonging." Similar in concept are the ALA Best Book for Young Adults, The Cookcamp, and its 1999 sequel, Alida's Song. Recreating his own childhood experience, Paulsen tells a tale of a young boy sent to his grandmother, a voyage of salvation for the youthful protagonist. In the first title, the boy comes from Chicago to the woods of Minnesota where his grandmother is working as a cook for road builders. In Alida's Song, the nameless protagonist is now fourteen and sliding into trouble until he again spends a summer with his grandmother on the farm where she now cooks for two elderly brothers. Escaping the alcoholism at home, he finds love and renewal in the simple surroundings and in nature. A Publishers Weekly critic described the book as "Paulsen's classic blend of emotion and ruggedness, as satisfying as ever." Such reworking of his own private history is one of Paulsen's hallmarks. Looking at life as a literal gem, he can turn said gem, gazing at a new facet, a new angle of approach for old stories, mining and re-mining his own lode of stories endlessly. In another critically successful book, Paulsen examines the horrors and brutality of slavery. The historically based Nightjohn is set in the nineteenth-century South and revolves around Sarny, a young slave girl who risks severe punishment when she is persuaded to learn to read by Nightjohn, a runaway slave who has just been recaptured. When the eager young student is caught tracing letters in the ground, her vicious master beats her, then vents his anger on Sarny's adopted "mammy," humiliating her by tying her naked to his buggy and whipping her as he forces her to pull him and the vehicle. When Nightjohn confesses that he has been Sarny's teacher, the slave endures his punishment: two of his toes are sliced off. A commentator for Kirkus Reviews called Nightjohn "a searing picture of slavery" and an "unbearably vivid book." "By the time the book is completed," wrote Frances Bradburn in Wilson Library Bulletin, "the revulsion, the horror, the awe, and the triumph are complete." The critic continued, "fortunately for all of us, Gary Paulsen has had the courage to risk censure in order to tell a powerful story in a style only he is capable of." Sarny was reprised as a character in the 1997 Sarny: A Life Remembered, in which the former slave narrates her life in 1930 from the ripe old age of ninety-four. A focal point of her story is the fact that she learned to read: this saved her on more than one occasion. "(Sarny's) story makes absorbing reading," concluded Bruce Anne Shook in a School Library Journal review. Paulsen prefers to write for adolescents because, as he once observed, "(it's) artistically fruitless to write for adults. Adults created the mess which we are struggling to outlive. Adults have their minds set. Art reaches out for newness, and adults aren't new. And adults aren't truthful." His book Sentries, a collection of stories, particularly demonstrates his belief that "young people know the score." Sentries juxtaposes the stories of four teenagers on the brink of important decisions with the accounts of three soldiers--from different battles throughout history--whose lives have been devastated by war. Sentries particularly speaks to the threat of nuclear war and, as Paulsen once commented, contains "mostly a lot of questions, and I'm betting that young people have the answers." The White Fox Chronicles is a departure for Paulsen in its futuristic setting and a plot that a Publishers Weekly reviewer likened to that of a "shoot-'em-up computer game." The novel's hero is fourteen-year-old Cody, who has been captured by the nefarious Confederation of Consolidated Republics, a group that has overrun the United States and is hatching Nazi-like purges of its enemies. Despite it book's reliance on "pure B-movie" dialogue and plotting, the reviewer noted that it would cause readers to "cheer on the good guys without ever fearing that they might not triumph in the end." In My Life in Dog's Years, The Beet Fields: Memories of a Sixteenth Summer, and Guts: The True Stories behind Hatchet and the Brian Books, Paulsen recounts stories from his own life, many of which he previously fictionalized in his young adult books. A Publishers Weekly reviewer found The Beet Fields full of "punishingly harsh stuff" and a "mannered prose style," but added that "no one can fail to appreciate the author's transcendence of the appalling circumstances he describes." It is exactly this ability to transcend time and space and speak directly to his readers that has made Paulsen such a popular and respected author. In awarding the writer the 1997 Margaret A. Edwards Award, the award committee, as noted in School Library Journal, commented on this very trait: "With his intense love of the outdoors and crazy courage born of adversity, Paulsen reached young adults everywhere. His writing conveys respect for their intelligence and ability to overcome life's worst realities. As Paulsen himself has said, 'I know if there is any hope at all for the human race, it has to come from young people.'" * Mr. Tucket, illustrated by Noel Sickles, Funk & Wagnalls, 1968. * The C.B. Radio Caper, illustrated by John Asquith, Raintree, 1977. * The Curse of the Cobra, illustrated by John Asquith, Raintree, 1977. * Winterkill, T. Nelson, 1977. * The Foxman, T. Nelson, 1977. * Tiltawhirl John, T. Nelson, 1977. * The Golden Stick, illustrated by Jerry Scott, Raintree, 1977. * The Night the White Deer Died, T. Nelson, 1978. * Hope and a Hatchet, T. Nelson, 1978. * (With Ray Peekner) The Green Recruit, Independence Press, 1978. * The Spitball Gang, Elsevier, 1980. * Popcorn Days and Buttermilk Nights, Lodestar Books, 1983. * Dancing Carl, Bradbury, 1983. * The Crossing, Orchard Books (New York, NY), 1987. * The Island, Orchard Books (New York, NY), 1988. * The Voyage of the Frog, Orchard Books (New York, NY), 1989. * The Winter Room, Orchard Books (New York, NY), 1989. * Hatchet Rack Trim, Puffin, 1989. * The Boy Who Owned the School, Orchard Books (New York, NY), 1990. * Canyons, Delacorte Press (New York, NY), 1990. * Woodsong, illustrated by wife, Ruth W. Paulsen, Bradbury, 1990. * The Cookcamp, Orchard Books (New York, NY), 1991. * The River, Delacorte Press (New York, NY), 1991. * The Monument, Delacorte Press (New York, NY), 1991. * The Haymeadow, Delacorte Press (New York, NY), 1992. * Christmas Sonata, illustrated by Leslie Bowman, Delacorte Press (New York, NY), 1992. * Nightjohn, Delacorte Press (New York, NY), 1993. * Sisters/Hermanas, Harcourt (New York, NY), 1993. * Dogteam, illustrated by Ruth W. Paulsen, Delacorte Press (New York, NY), 1993. * Harris and Me: A Summer Remembered, Harcourt (New York, NY), 1993. * The Car, Harcourt (New York, NY), 1994. * The Tortilla Factory, paintings by Ruth W. Paulsen, Harcourt (New York, NY), 1995. * Call Me Francis Tucket, Delacorte Press (New York, NY), 1995. * The Tent: A Parable in One Sitting, Harcourt (New York, NY), 1995. * The Rifle, Harcourt (New York, NY), 1995. * Brian's Winter, Delacorte Press (New York, NY), 1996. * Worksong, illustrated by Ruth W. Paulsen, Harcourt (New York, NY), 1997. * Tucket's Ride, Delacorte Press (New York, NY), 1997. * The Schernoff Discoveries, Delacorte Press (New York, NY), 1997. * Sarny, a Life Remembered, Delacorte Press (New York, NY), 1997. * The Transall Saga, Delacorte Press (New York, NY), 1998. * Soldier's Heart: A Novel of the Civil War, Delacorte Press (New York, NY), 1998. * Canoe Days, illustrated by Ruth W. Paulsen, Doubleday, 1999. * The White Fox Chronicles, Delacorte Press (New York, NY), 1999. * Brian's Return, Delacorte Press (New York, NY), 1999. * Alida's Song, Delacorte Press (New York, NY), 1999. * Tucket's Gold, Delacorte Press (New York, NY), 1999. * Escape, Delacorte Press (New York, NY), 2000. * Tucket's Home, Delacorte Press (New York, NY), 2000. * The Case of the Dirty Bird, Dell (New York, NY), 1992. * Dunc's Doll, Dell (New York, NY), 1992. * Culpepper's Cannon, Dell (New York, NY), 1992. * Dunc Gets Tweaked, Dell (New York, NY), 1992. * Dunc's Halloween, Dell (New York, NY), 1992. * Dunc Breaks the Record, Dell (New York, NY), 1992. * Dunc and the Flaming Ghost, Dell (New York, NY), 1992. * Amos Gets Famous, Dell (New York, NY), 1993. * Dunc and Amos Hit the Big Top, Dell (New York, NY), 1993. * Dunc's Dump, Dell (New York, NY), 1993. * Dunc and the Scam Artist, Dell (New York, NY), 1993. * Dunc and Amos and the Red Tattoos, Dell (New York, NY), 1993. * The Wild Culpepper Cruise, Dell (New York, NY), 1993. * Dunc's Undercover Christmas, Dell (New York, NY), 1993. * Dunc and the Haunted House, Dell (New York, NY), 1993. * Cowpokes and Desperadoes, Dell (New York, NY), 1994. * Prince Amos, Dell (New York, NY), 1994. * Coach Amos, Dell (New York, NY), 1994. * Dunc and the Greased Sticks of Doom, Dell (New York, NY), 1994. * Amos's Killer Concert Caper, Dell (New York, NY), 1994. * Amos Gets Married, Dell (New York, NY), 1995. * Amos Goes Bananas, Dell (New York, NY), 1995. * Dunc and Amos Go to the Dogs, Dell (New York, NY), 1996. * Amos and the Vampire, Dell (New York, NY), 1996. * Amos and the Chameleon Caper, Dell (New York, NY), 1996. * Super Amos, Dell (New York, NY), 1997. * Dunc and Amos on Thin Ice, Dell (New York, NY), 1997. * Amos Binder, Secret Agent, Dell (New York, NY), 1997. * The Legend of Red Horse Cavern, Dell (New York, NY), 1994. * Escape from Fire Mountain, Dell (New York, NY), 1995. * The Rock Jockeys, Dell (New York, NY), 1995. * Danger on Midnight River, Dell (New York, NY), 1995. * Hook 'Em Snotty!, Dell (New York, NY), 1995. * Rodomonte's Revenge, Dell (New York, NY), 1995. * The Gorgon Slayer, Dell (New York, NY), 1995. * Captive!, Dell (New York, NY), 1996. * Project: A Perfect New World, Dell (New York, NY), 1996. * Skydive!, Dell (New York, NY), 1996. * The Treasure of El Patron, Dell (New York, NY), 1996. * The Seventh Crystal, Dell (New York, NY), 1996. * The Creature of Black Water Lake, Dell (New York, NY), 1997. * The Grizzly, Dell (New York, NY), 1997. * Thunder Valley, Dell (New York, NY), 1998. * Curse of the Ruins, Dell (New York, NY), 1998. * Time Benders, Dell (New York, NY), 1998. * Flight of the Hawk, Dell (New York, NY), 1998. * Martin Luther King: The Man Who Climbed the Mountain, Raintree, 1976. * The Small Ones, illustrated by K. Goff, photographs by Wilford Miller, Raintree, 1976. * The Grass-Eaters: Real Animals, illustrated by K. Goff, photographs by Wilford Miller, Raintree, 1976. * Dribbling, Shooting, and Scoring Sometimes, photographs by Heinz Kluetmeier, Raintree, 1976. * Hitting, Pitching, and Running Maybe, photographs by Heinz Kluetmeier, Raintree, 1976. * Tackling, Running, and Kicking--Now and Again, photographs by Heinz Kluetmeier, Raintree, 1977. * Riding, Roping, and Bulldogging--Almost, photographs by Heinz Kluetmeier, Raintree, 1977. * Careers in an Airport, photographs by R. Nye, Raintree, 1977. * Running, Jumping, and Throwing--If You Can, photographs by Heinz Kluetmeier, Raintree, 1978. * Forehanding and Backhanding--If You're Lucky, photographs by Heinz Kluetmeier, Raintree, 1978. * (With John Morris) Hiking and Backpacking, illustrated by Ruth W. Paulsen, Simon & Schuster, 1978. * (With J. Morris) Canoeing, Kayaking, and Rafting, illustrated by John Peterson and Jack Storholm, Simon & Schuster, 1979. * Downhill, Hotdogging and Cross-Country--If the Snow Isn't Sticky, photographs by Heinz Kluetmeier and Willis Wood, Raintree, 1979. * Facing Off, Checking and Goaltending--Perhaps, photographs by Heinz Kluetmeier and Melchior DiGiacomo, Raintree, 1979. * Going Very Fast in a Circle--If You Don't Run Out of Gas, photographs by Heinz Kluetmeier and Bob D'Olivo, Raintree, 1979. * Launching, Floating High and Landing--If Your Pilot Light Doesn't Go Out, photographs by Heinz Kluetmeier, Raintree, 1979. * Pummeling, Falling and Getting Up--Sometimes, photographs by Heinz Kluetmeier and Joe DiMaggio, Raintree, 1979. * Track, Enduro and Motocross--Unless You Fall Over, photographs by Heinz Kluetmeier, Raintree, 1979. * (With Art Browne, Jr.) TV and Movie Animals, Messner, 1980. * Sailing: From Jibs to Jibing, illustrated by Ruth W. Paulsen, Messner, 1981. * Father Water, Mother Woods: Essays on Fishing and Hunting in the North Woods, illustrated by Ruth W. Paulsen, Delacorte Press (New York, NY), 1994. * My Life in Dog's Years, drawings by Ruth W. Paulsen, Delacorte Press (New York, NY), 1998. * The Beet Fields: Memories of a Sixteenth Summer, Delacorte Press (New York, NY), 2000. * Guts: The True Stories behind Hatchet and the Brian Books, Delacorte Press (New York, NY), 2001. * Caught by the Sea: A Life in Boats, Delacorte Press (New York, NY), 2001. * The Implosion Effect, Major Books, 1976. * The Death Specialists, Major Books, 1976. * C.B. Jockey, Major Books, 1977. * The Sweeper, Harlequin, 1981. * Campkill, Pinnacle Books, 1981. * Murphy's Gold, Walker, 1988. * The Madonna Stories, Van Bliet, 1988. * Murphy's Herd, Walker, 1989. * (With Brian Burks) Murphy's Stand, Walker, 1993. * (With B. Burks) Murphy's Ambush, Walker, 1995. * (With B. Burks) Murphy's Trail, Walker, 1996. * Communications (one-act), produced in New Mexico, 1974. * Together-Apart (one-act), produced in Denver, CO, at Changing Scene Theater, 1976. * The Special War, Sirkay, 1966. * Some Birds Don't Fly, Rand McNally, 1969. * The Building a New, Buying an Old, Remodeling a Used, Comprehensive Home and Shelter Book, Prentice-Hall, 1976. * Farm: A History and Celebration of the American Farmer, Prentice-Hall, 1977. * Successful Home Repair, Structures, 1978. * Money-Saving Home Repair Guide, Ideals, 1981. * Beat the System: A Survival Guide, Pinnacle Books, 1983. * A Cry in the Wind (screenplay adaptation of Hatchet), Concorde-New Horizons, 1990. * Kill Fee, Donald I. Fine, Inc., 1990. * Night Rituals, Bantam (New York, NY), 1991. * Clabbered Dirt, Sweet Grass (adult nonfiction), illustrated by Ruth W. Paulsen, Harcourt (New York, NY), 1992. * Eastern Sun, Winter Moon (adult nonfiction), Harcourt (New York, NY), 1993. * Winterdance: The Fine Madness of Running the Iditarod (adult nonfiction), Harcourt (New York, NY), 1994. * Puppies, Dogs, and Blue Northers: Reflections on Being raised by a Pack of Sled Dogs (adult nonfiction), Harcourt (New York, NY), 1996. * Pilgrimage on a Steel Ride: A Memoir about Men and Motorcycles (adult nonfiction), Harcourt (New York, NY), 1997. * Also author of Meteor; author of the introduction to The Call of the Wild, by Jack London, illustrated by Barry Moser, Macmillan, 1994. Author of numerous short stories and articles. Paulsen's works have been published in German, Japanese, Danish, Dutch, Russian, Norwegian, Italian, Spanish, French, Swedish, and Chinese. * AdaptationsDogsong has been released as a filmstrip with cassette, Random House/Miller-Brody, 1986; Hatchet has been released as a filmstrip with cassette, Random House, 1988; Woodsong has been released as an audiocassette, Bantam Audio, 1991; Canyons, Hatchet, and The River have been released as audiocassettes, all read by Peter Coyote, Bantam Audio, 1992; The Haymeadow and The Monument have been released as audiocassettes, both Bantam Audio, 1992. 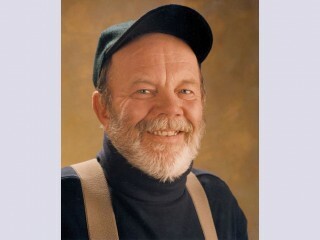 View the full website biography of Gary Paulsen.